Rosana McPhee shares her recipe for Manjar de Coco, a Brazilian coconut pudding recipe commonly eaten at festivals or family gatherings. 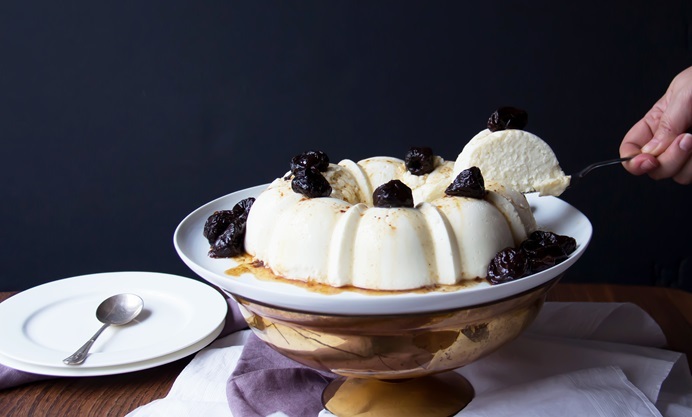 Served with a sticky sauce made from luscious prunes, this is a wonderful summer dessert fit for a big family barbecue. This recipe is for the Brazilian delicacy, Manjar de Coco (coconut custard). It is also known as Coconut blancmange, or 'Treat of the Gods' and is a very simple, sweet treat that dates back to colonial Brazil. 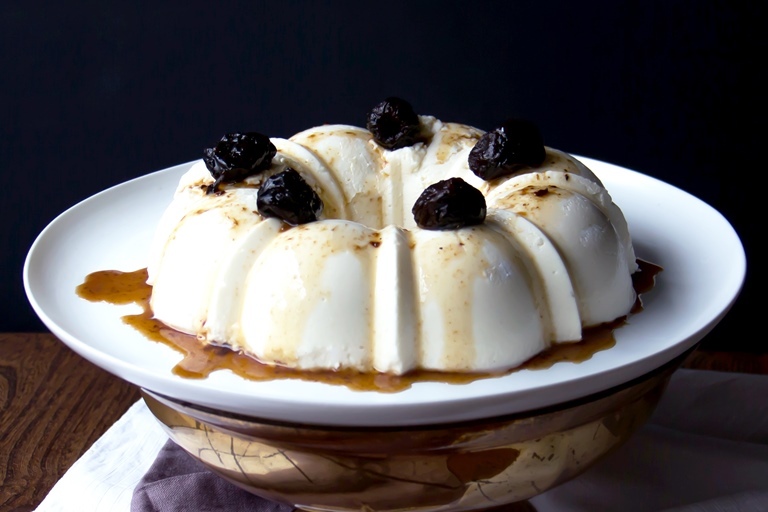 It differs from other creams and puddings, as it is traditionally served with prune sauce, rather than the more common caramel sauce. There are only a few ingredients in coconut pudding and it doesn’t require much culinary trickery. It is sweet, light and just delicious when served with my aromatic prune reduction. In Brazil, it is eaten at festivals all over the country and makes a fantastic, tropical addition to any summer celebration. As usual, every Brazilian household has its own recipe, but here is my version.